The director may have cast the controversial Royal Cambodian Armed Forces in First They Killed My Father. Angelina Jolie shakes hands with Cambodian Prime Minister Hun Sen during a meeting at the Peace Palace in Phnom Penh on September 17th, 2015. Just as critics have begun to include Angelina Jolie&apos;s new film in their lists predicting nominees for the 2018 Oscar race, Human Rights Watch&apos;s Asia Division is criticizing the director for allegedly casting soldiers from the controversial Royal Cambodian Armed Forces in her much-anticipated new movie, First They Killed My Father. First They Killed My Father, set to be released stateside this year by Netflix, portrays the Khmer Rouge&apos;s regime through the eyes of a five-year-old girl and is based on the acclaimed 2006 memoir by Loung Ung of the same name. While reception of the film in Cambodia, where it screened in February, has reportedly been positive, in a Vanity Fair magazine profile of Jolie released online on Wednesday, author Evgenia Peretz includes an anecdote that has alarmed at least one human rights advocate. Among other concessions to the movie&apos;s team, Cambodia "provid[ed the production] with 500 officials from their actual army to play the Khmer Rouge army," Peretz writes. Brad Adams, executive director of Human Rights Watch&apos;s Asia Division, told New York magazine on Thursday that, if this detail is true, it represents an uncharacteristically unethical production decision from the famously humanitarian filmmaker. 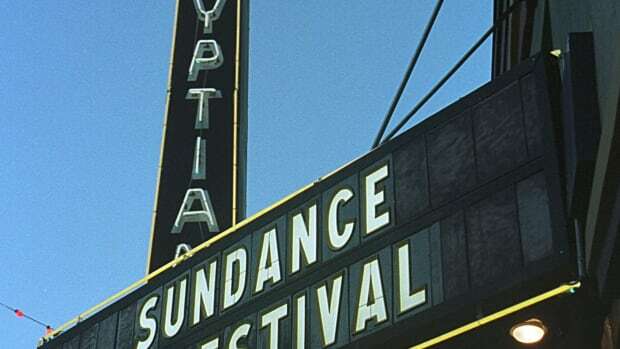 "To ask for permission to make a film and thereby invest in the local economy is fine, and you&apos;re going to have to have some meetings with some government officials," Adams said. "But you can take a stance to make sure you don&apos;t empower, legitimize, or pay the wrong people. And working with the Cambodian army is a no-go zone, it&apos;s a red flag, and it&apos;s a terrible mistake." Rights groups argue that the government of current Prime Minister Hun Sen regularly deploys the RCAF to suppress the opposition Cambodia National Rescue Party, as well as to quell trade unions and other protestors. In 2014, the Cambodian army opened fire on garment factory workers who were striking for higher wages, killing four and injuring 21. Human Rights Watch says that the RCAF has, under orders from the government, also organized several roadblocks, where security forces harass and attempt to intimidate those who they suspect will protest or agitate. "Working with the Cambodian army is a no-go zone, it&apos;s a red flag, and it&apos;s a terrible mistake." For Jolie, working with the RCAF would be a ding on her humanitarian record. She has worked to preserve endangered forests and prevent sexual violence, among other causes, in Cambodia since her first blockbuster film, 2001&apos;s Tomb Raider, was partially shot in the country. She has been awarded honorary citizenship in the country for her conservation work; Jolie has also adopted three children from Cambodian orphanages. Nevertheless, Jolie has come under fire for making ethically dubious decisions during her work in the country before: In 2011, PRI reported that she had purchased land for her Maddox Jolie-Pitt Foundation from Yim Tith, a former commander for the Khmer Rouge. She was also the subject of several critical stories on Wednesday, after she told Vanity Fair about a controversial tactic she had used when casting the five-year-old lead in First They Killed My Father: Casting directors would put money on a table in front of a child and ask them to think about something they needed it for; then Jolie pretended to "catch" the child and take the money away. As for the girl chosen for the part, Srey Moch: "When she was asked later what the money was for, she said her grandfather had died, and they didn&apos;t have enough money for a nice funeral," Jolie told the magazine. 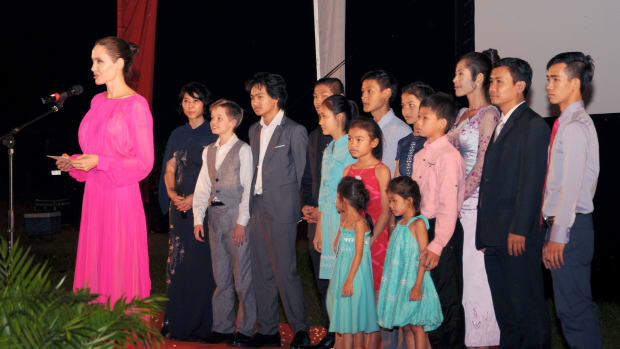 Last February, survivors of the Khmer Rouge regime and their children gathered to relive a traumatic chapter in their country's history. 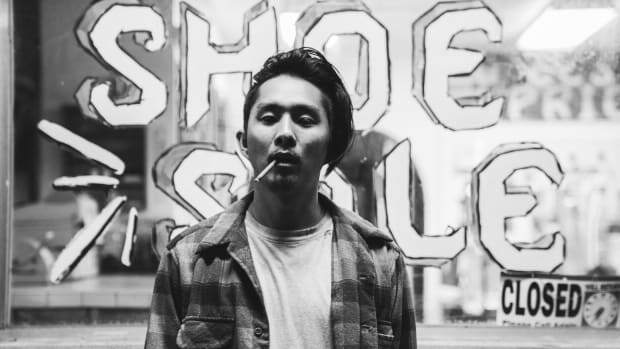 Director Justin Chon tells a personal story about the 1992 riots in Los Angeles. 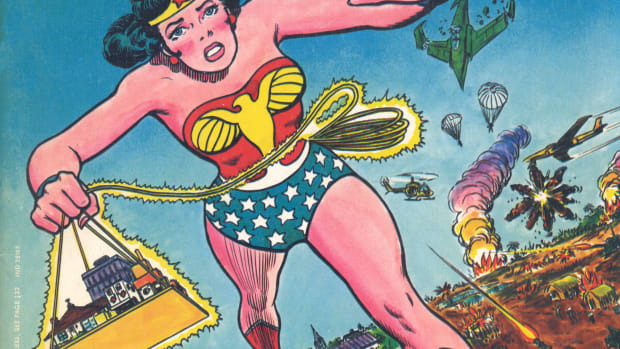 Nearly 45 years after they put the female superhero on the cover of Ms. magazine's first issue, the players behind the cover consider its impact, and the new movie. Natalie Portman is saying Ashton Kutcher was paid three times more than she was on 2011’s No Strings Attached. No, you have not been Punk’d. 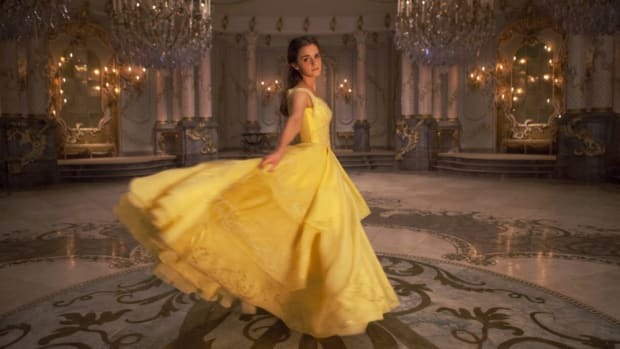 Is Emma Watson’s Belle the Feminist Heroine 2017 Deserves? Pacific Standard asks a few critics of the first film to re-appraise Disney’s new live-action adaptation.